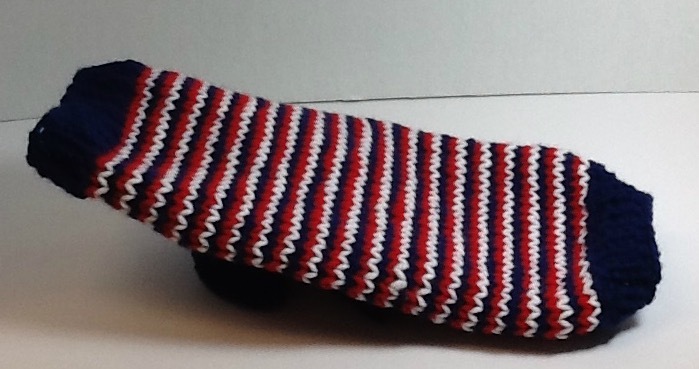 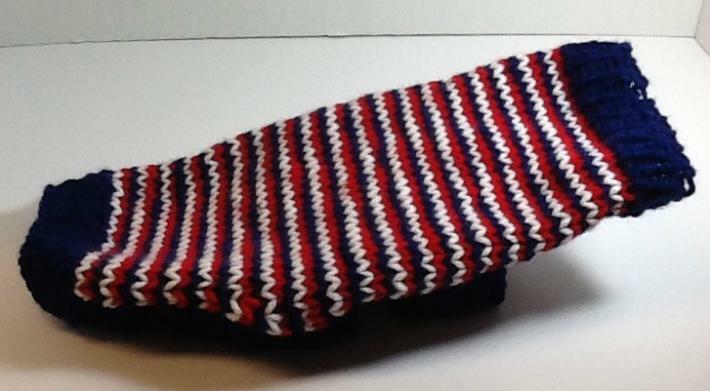 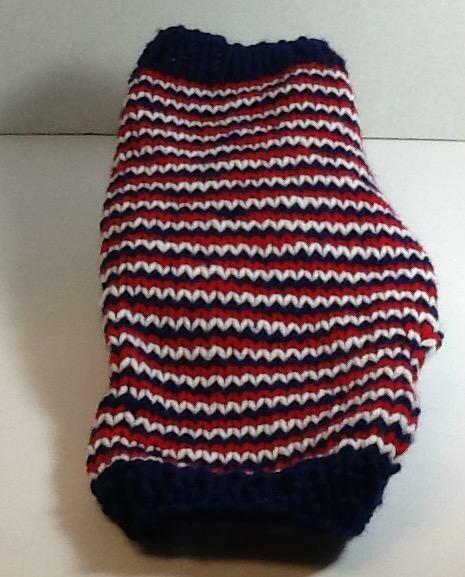 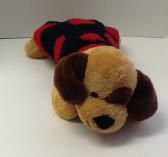 This cute Petite Red,white and Blue striped dog sweater is perfect for the small dogs. 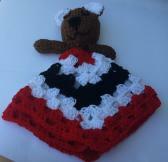 Hand Knit by Hands not by a Knitting Machine. 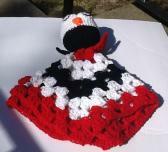 Hand knit sweaters will last for many years even after repeated washing. 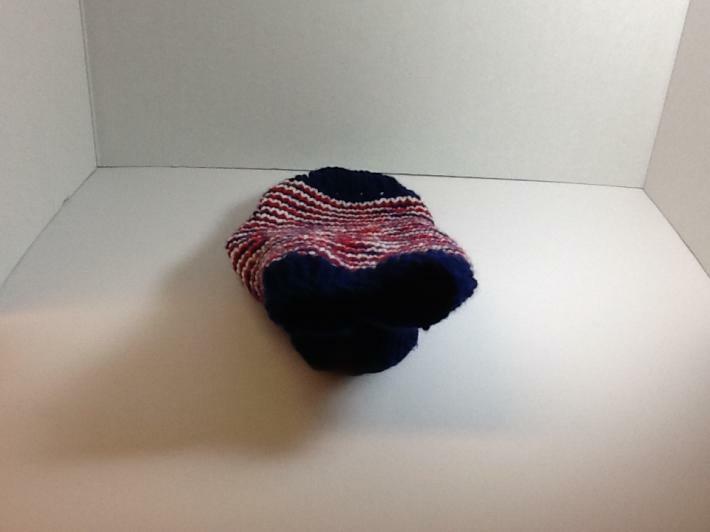 This sweater measures 6-8" in Length, and 8-10 inches around the chest .